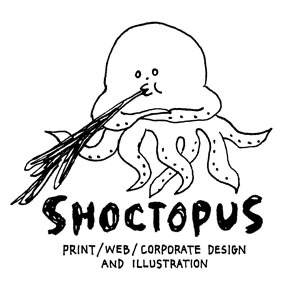 is a design studio specializes in print- / web- / corporate design and illustration by graphic designer Shou. born in Hiroshima, one of 7 Japanese cities she has lived in. Since 2001 she has been working as graphic designer and illustrator. In 2005 she moved to Berlin, Germany. In Japan she worked for advertising agencies and design offices. There she acquired not only professional skills in graphic design, editorial design, art direction, illustration and photo retouching but also marketing knowledge. In Berlin she has been working for agencies, shops, artists, etc in Germany and Japan as a freelancer. Here she started web design and programming as well in order to expand her business field. Since 2005 in Berlin, here she started to create also her own artworks, such as puppet making, screen printing, live animation, painting and also music. Since 2011 she has been living in her own atelier-studio space “SHOXXXBOXXX”, where her creativity has flourished. 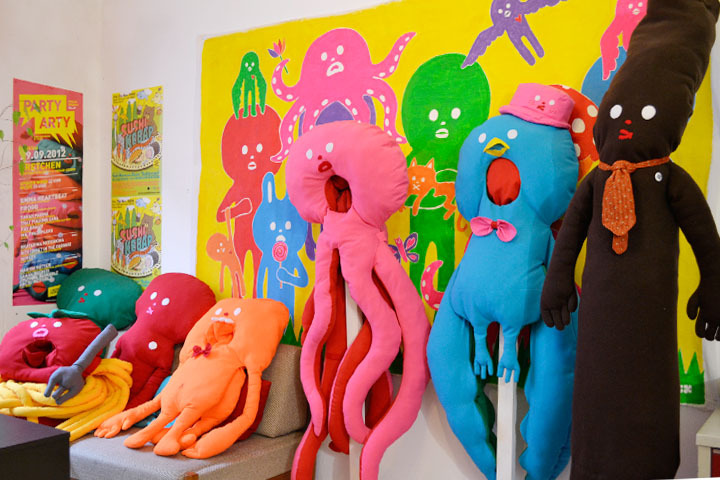 Her exhibitions display puppets, drawings, hand-made decorations and more; composing colorful, funny characters in a pop atmosphere. Though initially impressing a typical Japanese style, it derives its originality through cynical humor or extreme nonsense. These installations of her work transport visitors to a SHOXXX’s world, a place for the adventurous to bring their imaginations.